Umbra 3D is a Finnish growth company developing an algorithm used to compress and rebuild complex 3D models and environments in real-time. So far their clientele has been at the triple-A gaming industry where they serve over 50% of the market. If you’ve ever played titles such as Destiny or Call of Duty, you’ve seen Umbra’s algorithms in action. What they provide is essentially the best render and optimization engine and a cloud platform in the world for massively complex 3D environments. At the same time, Mixed reality (MR) is on it’s way to mainstream. Mixed and augmented reality devices such as HoloLens by Microsoft are essentially wearable mobile computers that are limited by both processing power and battery, and thus are incapable of heavy realtime calculations with large and complex data. 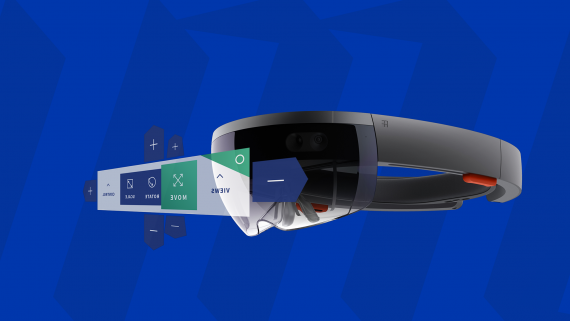 This is where Umbra steps in — their black box makes it possible to view, edit and share any 3D content anywhere, independent on the device it is being run — including any mixed reality headset. 1) Agile collaboration: Enabling quick and easy review rounds between different disciplines’ models that lead to actual action items (i.e. annotations), and to improvements before the “master” design review sessions. 2) Make future design feel real now: Give visual (3D) context to detected issues, thus understand the implications of a proposed change better and help communicate these to other stakeholders too. Clash detection gets you only so far (false positives, confusing visual context on a 2D screen) and 2D plans on paper don’t really serve the purpose of communicating certain type of issues that well. 3) Smart use of technology: Help take most out of the visual capabilities that immersive 3D devices bring to the table, making issue spotting and inspection very effective. 4) Reduce cost and time: Removes the need to use external agencies to create high quality, but static, visualisations of architecture models, as Umbra’s game-level visualisations do the same thing in seconds, and are also interactive. — Validated product-market fit. Current users include several industry leaders in AEC, with total turnover more than $25B. — Go-to-market in progress in the construction industry, where the solution will reshape an old and a very traditional industry with futuristic technology with significant savings in cost, speed and quality. — Transformation of Umbra’s technology product from a developer tool into an end-to-end platform with a number of end user applications: Umbra Composit, Pryzm and Umbra.io, the web and cloud platform for the products.